What are you wasting your time reading this for? 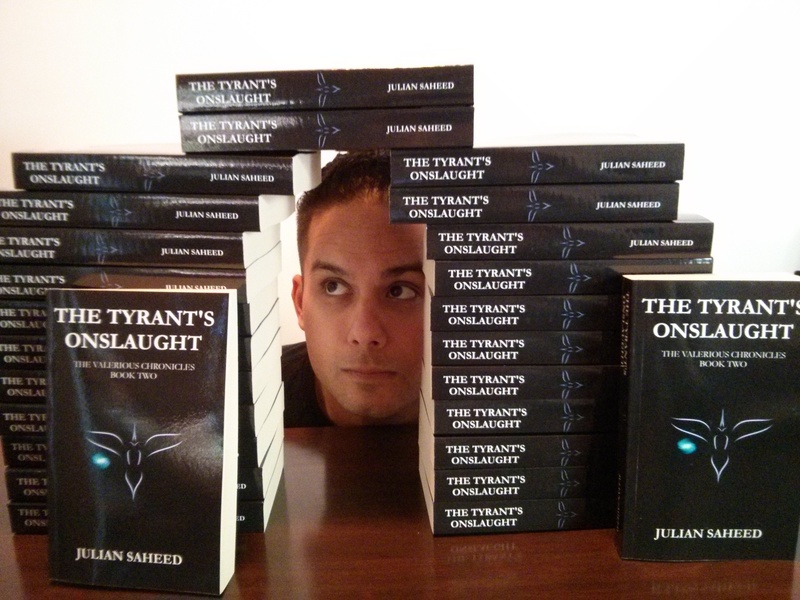 Today is release day for The Tyrant’s Onslaught. Get your eReader or pick up a hard copy and get reading. And if you haven’t read book one of the Valerious Chronicles, well frankly I don’t know what in the world you’ve been doing! I hope to see you all celebrating with me! This entry was posted in Writing and tagged books, Fantasy, Marketing, Reading, The Tyrant's Onslaught, The Valerious Chronicles by blottingaway. Bookmark the permalink.